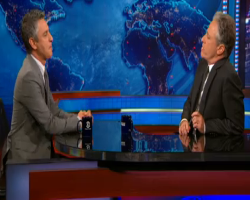 Last Wednesday, Reza Aslan, writer and scholar of religious studies, was on the Daily Show for an interview. People don’t learn their values from religious teachings, according to Reza Aslan. During an appearance Wednesday night on The Daily Show, the religious scholar argued the situation was reversed — people infused scripture with their own personal values. It seems Aslan is saying religion has NOTHING to do with someone becoming a bigot? I just don’t think that is a reasonable position, yet when I posted this article on my Humanist group page on Facebook, several people agreed with him. Aslan, and many people exposed to the western liberal intellectual religion we get to see here in the US, think All Of Religion is as benign as what we have here in the US. In the rest of the world, religion isn’t just some philosophical debate topic or only a community center you can collect food and clothing – in most of the world you conform to the majority religion or you are flogged, jailed, or worse you die. Simple as that. 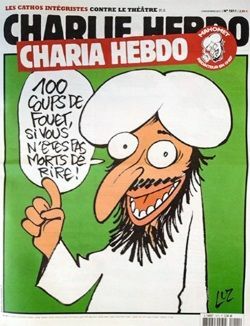 There was a massacre at the Charlie Hebdo offices in France. Three atheist bloggers were murdered in Bangladesh recently, some nonconformists are being held in prison like Raif Badawi, who was sentenced to be lashed in Saudi Arabia for writing about being an atheist, and two Islamic adherents tried to shoot their way into a cartoon exhibit and contest depicting the prophet Muhammad being held in Garland, Texas. Religion isn’t just a bunch of pretty words strung together to make people feel good and we have to stop thinking all religion looks like our benign liberal intellectual version here in the states. What is it about Islam that simultaneously both motivates jihadis to kill and so many progressives to exculpate the religion, even when the killers leave no doubt about why they act? The second part of the question is easier to dispense with than the first. Progressives by nature seek common ground and believe people to be mostly rational actors – hence the desire to blame crime on social ills. Unfamiliarity with Islam’s tenets also plays a role, plus, I believe, the frightening future we would seem to be facing as more and more Muslims immigrate to the West, and the world becomes increasingly integrated. Best just to talk of poverty and the like, or a few “bad apples.” But to respond to the question’s first part, we need to put aside our p.c. reading glasses and examine Islam’s basic elements from a rationalist’s perspective. Islam as a faith would not concern progressives, except that some of its adherents choose to act as parts of its dogma ordain, which, to put it mildly, violates the social contract underpinning the lives of the rest of us. Islam is a hallowed monotheistic ideology, as are Judaism and Christianity, the other two Abrahamic “anti-human religions” (to quote Gore Vidal), that preceded it. From a rationalist’s perspective, any ideology that mandates belief without evidence is a priori dangerous and liable to abuse. This especially applies to monotheism. Objectively, polytheism was better. Look back in time. The many gods of Greek and Roman antiquity, by their very multiplicity, presupposed a spirit of pluralism in their societies and even a certain ludic variety. I worship Zeus, you Aphrodite; he follows Ceres, she Diana. The classical gods quarreled and copulated, stirred the heavens to storm and sent down rain on the crops, tossed earthward thunderbolts, and now and then accepted propitiations from us humans, but otherwise, didn’t do much to bother us. All those who, à la Reza Aslan, maintain that Muslims today do not necessarily read the Quran literally have lost the argument before it begins. What counts is that there are those (ISIS, say, and al-Qaida) who do, and they are taking action based on their beliefs. To the contention, “ISIS and al-Qaida don’t represent Islam!” the proper response is, “that’s what you say. They disagree.” No single recognized Muslim clerical body exists to refute them. I agree that Muslims have been marginalized and discriminated in countries where they are not the majority, like in the US. In countries where Islam is the majority religion, non-Muslims are the ones who are marginalized, discriminated against, jailed, and in some cases murdered. “We need to resist saying ISIS has nothing to do with Islam or that violence in the name of religion has nothing to do with religion. Of course it has to do with religion. If ISIS calls itself Muslim, we should probably take them seriously,” he said. We Humanists must keep this in mind instead of looking at religion with rose colored glasses – biased by our western cultural indoctrination. The only religion that is merely an intellectual exercise are the ones we see here in the US. I wish all religion was just that benign but most aren’t. We can support efforts to end the violence and discrimination Muslims face in the west while rejecting the violence and discrimination Muslims contribute to in the rest of the world. We can do that and not be bigots for criticizing religion. Dissenting from religion can be done without dehumanizing the adherents. We’ve done okay dissenting from Christianity so why does it seem to be a problem when Islam is involved? Those who believe that any criticism of religion is bigotry are just as dangerous as if they had a bomb strapped to their body.